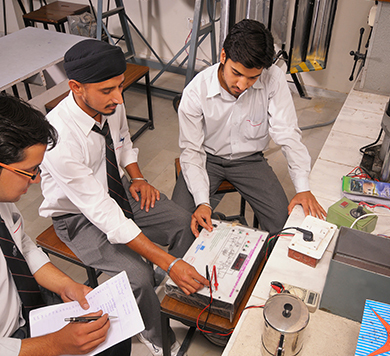 We have the state of the art facilities in the Central Workshop for providing students of all branches the concept and exposure of the basic and advance manufacturing techniques .Here in addition to meet the requirements of academic curriculum the students are supported for developing models and prototypes of their final year projects. 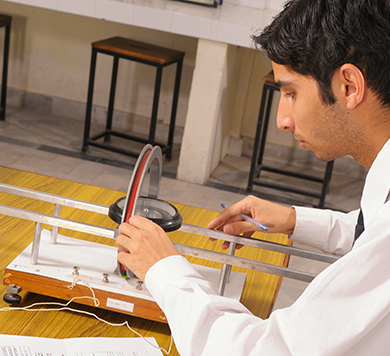 The PG students are also facilitated for developing the R&D setups. 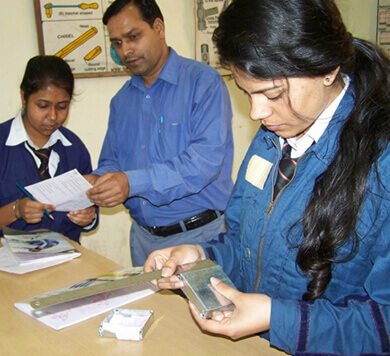 Students are also provided complete tooling and technical guidance in manufacturing various types of vehicles to participate in national and international level competitions. One Uttarakhand Govt. funded project has been completed and submitted and the another is in progress. 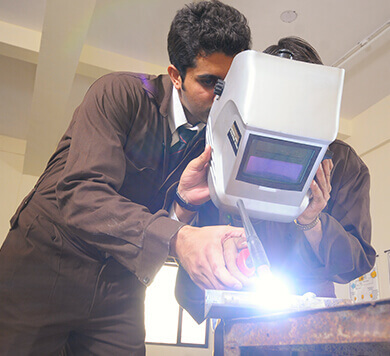 The important labs are Welding shop, Machine Shop, Carpentry Shop, Fitting & Sheet Metal Shop in addition to these we also have Foundry & Forging Shop and Special Machine Shop. 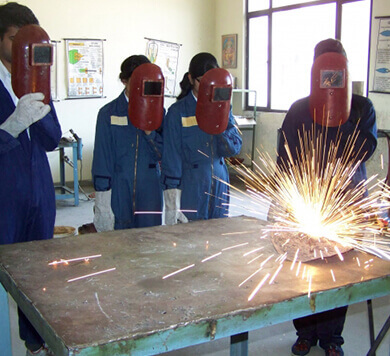 Facilities MIG Welding Set, TIG Welding Set, Spot Welding Machine, Gas welding Set, Electric Arc Welding Set, & Power Hacksaw. Practice Jobs: Square Tray of GI Sheet, Funnel of GI Sheet, Plug & Socket Joint.